want to be on our email list? let us know! 2017 Banquet Photos & Thank You! 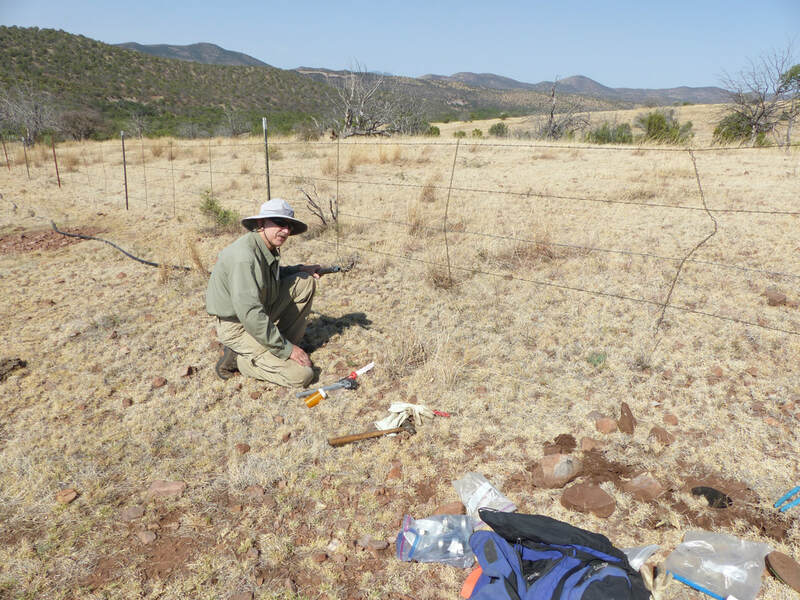 On July 5th, 2017 volunteers from the Huachuca Gould’s Chapter of the National Wild Turkey Federation made temporary repairs to the Korn Ridge Drinker development in the Canelo Hills. A previous inspection reported no water in the storage tank or the drinker nearby. 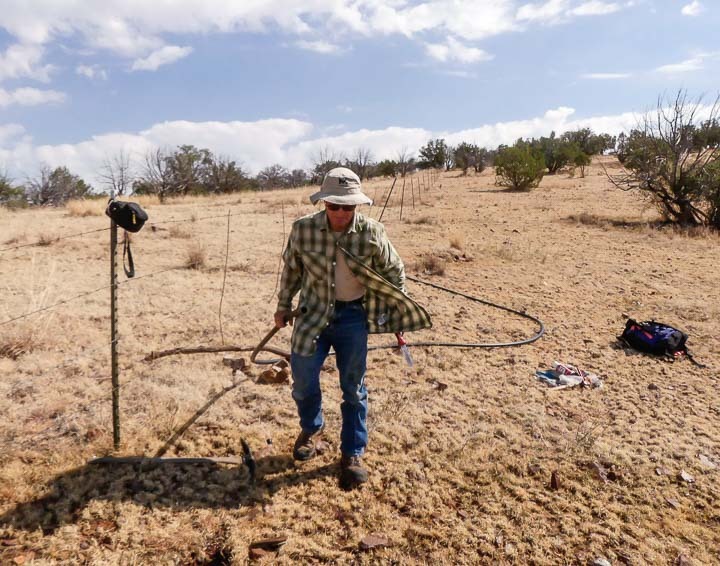 The Korn Ridge Drinker is a cooperative effort between the National Forest livestock permittee, the Coronado National Forest, and the Huachuca Gould’s Chapter. 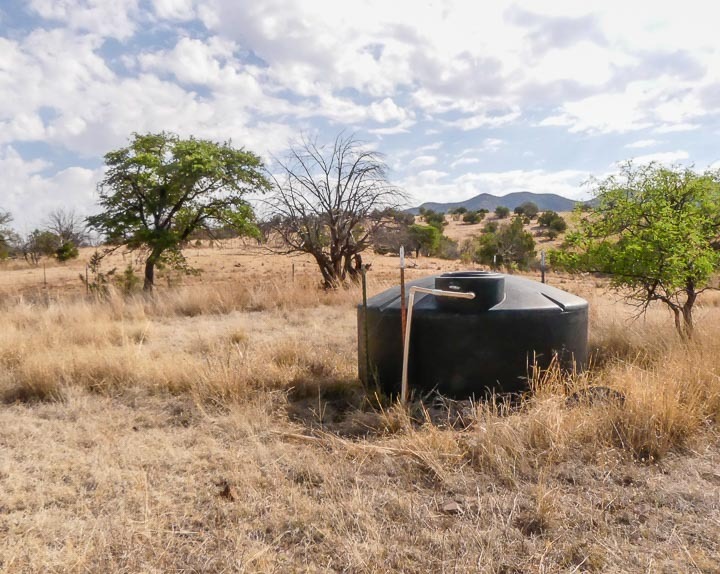 Water for the development is supplied by a ¼ of a mile long pipe that taps into another water line for livestock. 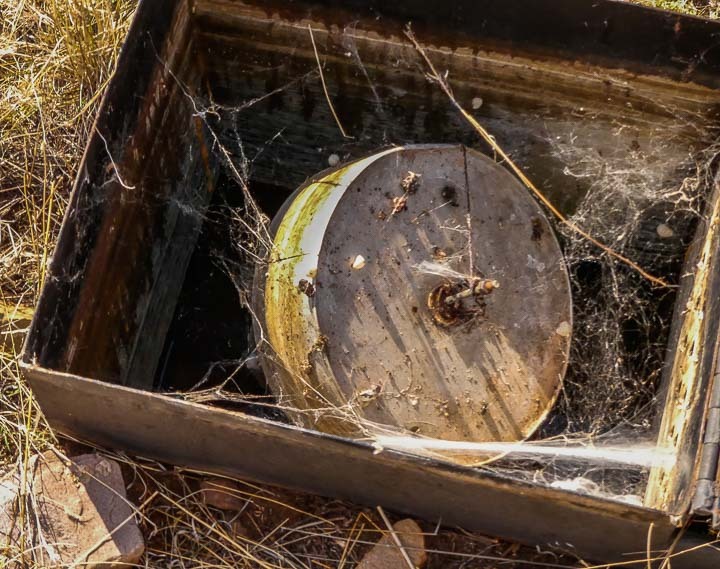 A metal drinker box is fed by an 1100-gallon storage tank at the end of the wildlife pipe line. A small area around the drinker and tank are fenced to exclude cattle. After bypassing a clogged in-line pressure regulator, about 425 gallons were directed into the storage tank. 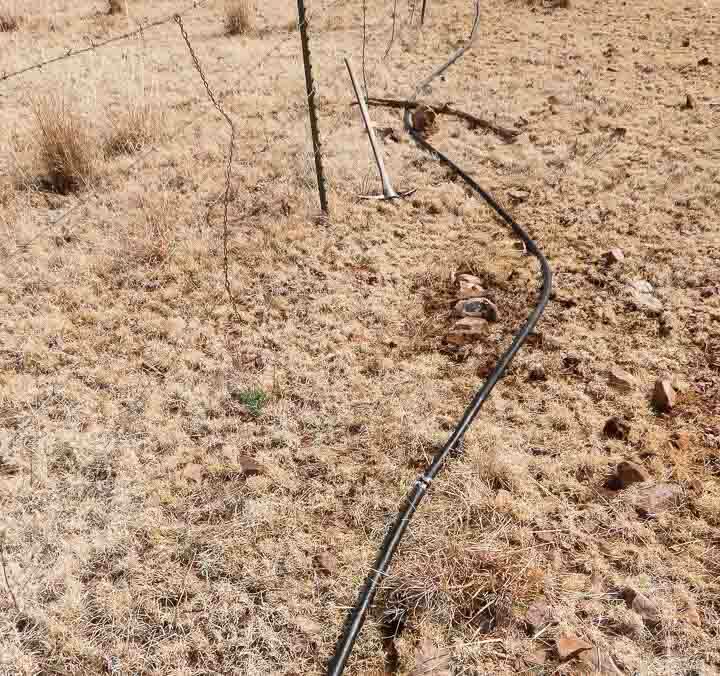 This amount should be adequate for wildlife use until the summer rains commence. 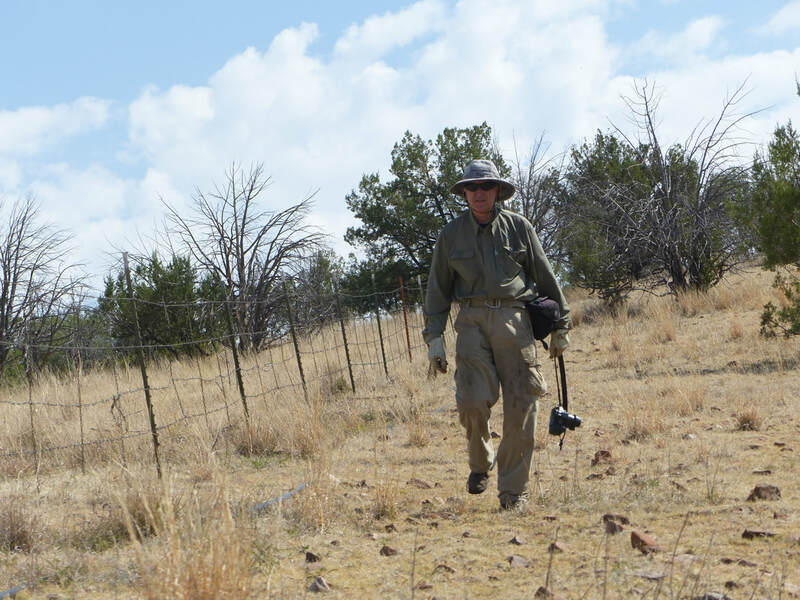 The volunteers for the Korn Ridge Drinker repair were John Millican and Tom Deecken. At a future workday, more permanent modifications will be made to the development. There he is folks, our own Tom Deecken, thanks to John Millican and his quick reaction catching him. Tom carrying his camera, no wonders we have such great stories and memories to go with them.